summer is flying a kite. 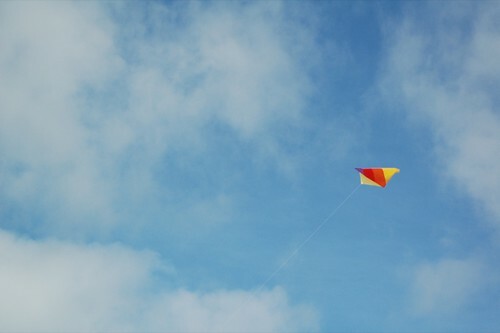 i remember my parents flying kites at the beach from the time i was a small child. and kites have made me a wee bit nervous ever since. 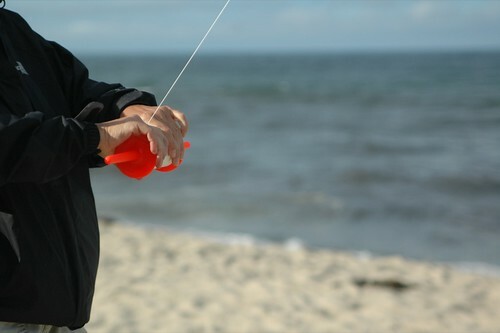 there may have been a kite that landed in the ocean. 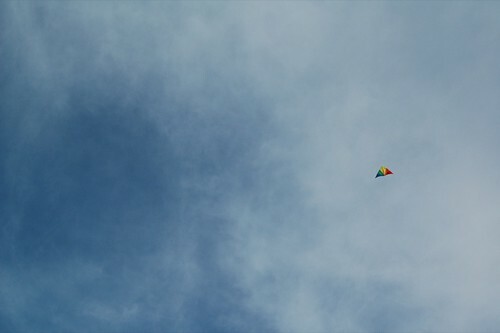 or maybe it was just my worry that a kite might land in the ocean. i'm not sure anymore, but i love them nonetheless. i love all of the conversation about dowels and hooks and strings and whether there is enough wind. i love the admonishments - "don't let go!" - to young hands that want to help. i love the splash of color against a bright blue sky. or against a grey sky. or against a blue and grey sky. 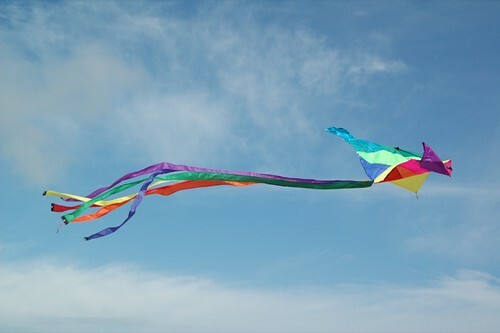 i love flying kites especially when someone else (usually my mother or my husband) launches them into the air and i can sit quietly in a beach chair and look out at the ocean and hold the kite string and feel the tug of the wind in my hands and breathe. hello uncommon grace readers! i'm emily. i blog about life and creativity and mothering and mindfulness at shining egg, and i share my photos on flickr. i'm honored to be sharing this bit of my summer here on uncommon grace. many thanks to you, grace, for dreaming up this summer is series and for inviting me to participate. and thanks to all of you for reading.